Chinese dumplings are a popular treat during the Chinese New Year season. With the Chinese New Year not only comes a new year, but also wonderful traditions and celebrations. But no celebration is complete without the special dishes that mark the season. As candy canes are to Christmas and pumpkin pie is to the American Thanksgiving, yuanxiao dumplings are to the Chinese New Year. Yuanxiao (Lantern Festival) dumplings, or tangyuan as they are also known, are a traditional treat during the New Year season, specifically Lantern Festival - the last day of the traditional Lunar New Year celebrations. During the Lantern Festival, paper lanterns fill the night sky with beautiful light, symbolizing the letting go of past selves and looking to the future. Lantern Festival has also since commercialized into a sort of Chinese Valentine’s Day following in line with the historic tradition of matchmaking in the streets during the festivities. Yuanxiao are sweet glutinous rice (sticky rice) balls that are typically filled with a sweet red bean paste, sesame paste, or even peanut butter. 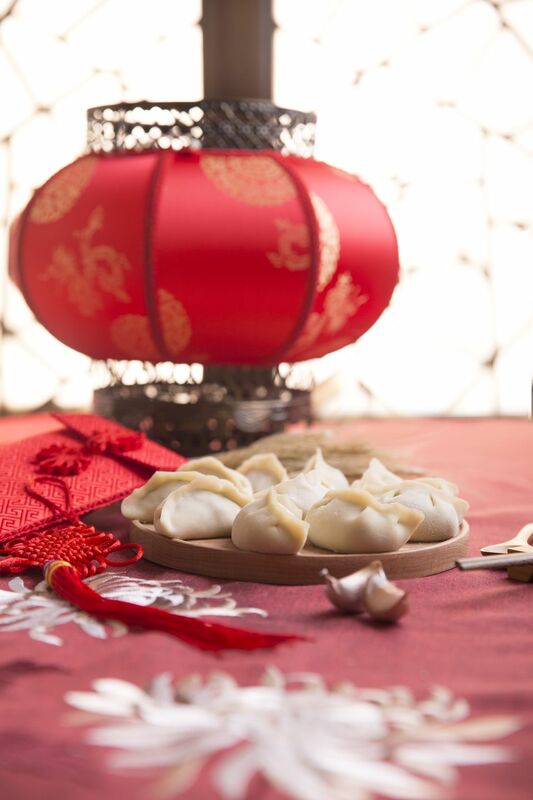 The Chinese believe that the round shape of the yuanxiao dumplings and the special bowls in which they are commonly served symbolize family togetherness. By eating the rice balls, they will bring their family happiness and good luck in the new year. For this very belief, these dumplings are also served at Chinese weddings and any other occasion of family reunion. Below is one of our favorite Chinese yuanxiao dumpling recipes. Mix the butter with sesame powder, sugar, and wine (you will need to heat the mixture a little bit). Form the mixture into small balls using approximately 1 level teaspoon each and rolling into small balls with your hands. Place the glutinous rice flour in a large mixing bowl. Add the water, a small amount at a time, working and shaping the dough until it has a texture similar to playdough – not too soft, but smooth and easy to manipulate. Pinch off a piece of dough approximately the size of a golf ball, roll the dough into a ball, and use your thumb to make a deep indentation in the dough. Place a sesame ball into the hole before closing it up. It is important to make sure the sesame ball is completely covered with the dough. Continue with the remainder of the dough. Cook the dumplings in boiled water. Make sure to keep stirring in one direction while cooking. When they begin to float on the water, continue to boil for about one minute while reducing the heat. Sticky rice (glutinous rice) flour and black sesame powder are available at most Asian markets. If you can't find black sesame powder, you can grind black sesame seeds in a food processor until they form a powder. The amount of water needed with glutinous rice flour can vary quite a bit depending on the humidity level where you live and even the age of the flour. Glutinous rice flour can be a bit tricky to work with – at first it looks too dry, and the next thing you know the dough is sticking to your hands because you’ve added too much water. If that happens, add a bit more glutinous rice flour. On the other hand, if the dough is too dry, add more water, a small amount at a time. What Is The Traditional Food of the Dragon Boat Festival?